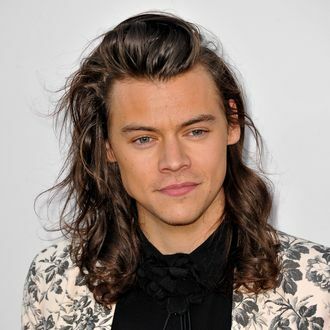 Harry Styles Was Chill Enough to Reveal His Single Release Date in a Commercial; Thanks, Harry! The only direction we’re moving in is a sequential one to the next month because Harry Styles has brought us exciting news regarding his debut single. Airing during last night’s episode of The Voice in the U.K., Styles let the island nation (through a pretty spooky commercial!) know that he’ll be dropping the unnamed single on April 7. The short advert is a pretty simple instrumental affair with a muted color scheme — you can deduce on your own if the melodies will actually be part of the song — but what we’re most worried about is Styles getting pneumonia from that soaking shirt of his. Be more careful next time, man!